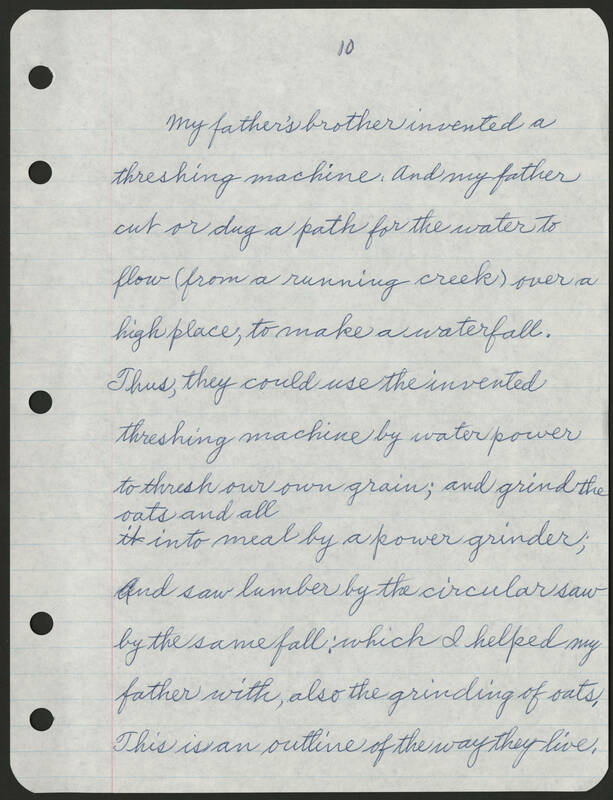 10 My father's brother invented a threshing machine. And my father cut or dug a path for the water to flow ( from a running creek) over a high place, to make a waterfall. Thus, they could use the invented threshing machine by water power to thresh our own grain; and grind the oats and all into meal by a power grinder; and saw lumber by the circular saw by the same fall: which I helped my father with, also the grinding of oats, This is an outline of the way they live.